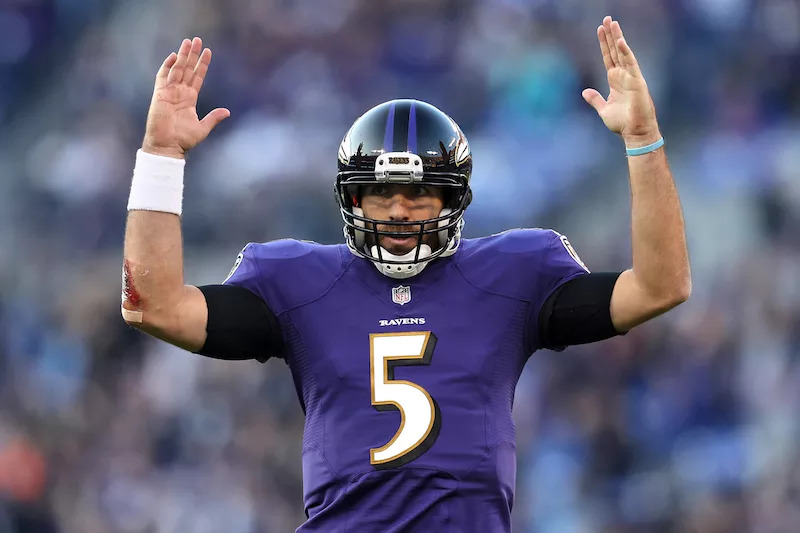 Is it time for the Ravens to move on from Joe Flacco? 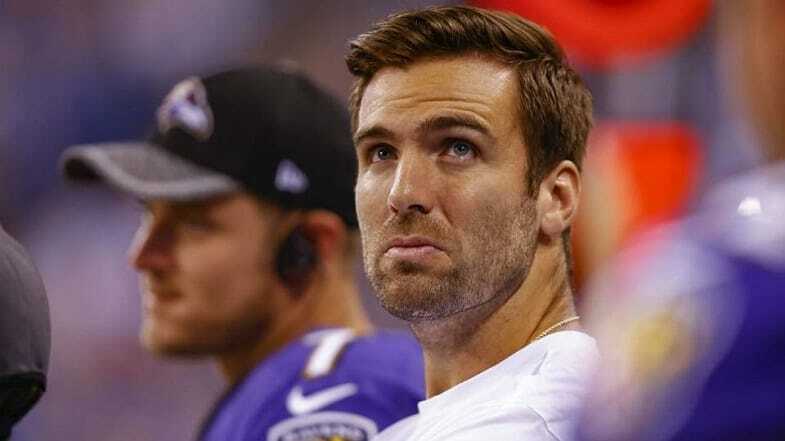 Joe Flacco has been given a very long leash in Baltimore. It has been a while since he’s played up to his potential, and at times his performance has cost the team dearly. Perhaps the reason that his poor play is overlooked is a direct result of him winning a Super Bowl in the 2012 season. Maybe it’s his supposed leadership that the team does not want to relinquish. In any case, he recently received a wake-up call when the Ravens traded back into the first round of this year’s draft to select Louisville quarterback Lamar Jackson. Flacco, and everyone who has watched this team play in recent years, knows he must play better. The product he has put on the field simply is not enough to get the job done. Not to mention the fact that his massive $120.6 million contract, which grants him an average annual salary of $22.1 million, is a major hit to the team’s salary cap. Flacco’s 2017 was just putrid, as he mustered just 3,141 passing yards, with an inexcusable 18 touchdowns and 13 interceptions. His worst game of the season was a London matchup against the Jacksonville Jaguars. A Week 3 game in which the Ravens were demolished 44-7. Flacco’s stats for that game? Eight for 18 passing, for 28 yards – no, this is not a typo – zero touchdowns, and two interceptions. That type of performance doesn’t even give his team a chance to compete. While one could say that he might have had a down year, which to some extent is true, the more alarming fact is that the Ravens haven’t been to the playoffs since 2014. Teams can overlook poor play, if the overall results are satisfactory. But in this case, they clearly are not. The 2012 Super Bowl run was primarily a factor of a Ray Lewis last chance run at glory prior to his subsequent retirement. The Ravens have high expectations every single year. They have managed to rebuild their defense in highly efficient fashion. The Ravens ranked number three overall in DVOA last season. They forced a league high 34 turnovers last year alone. Typically, those added opportunities should translate to offensive success. But as previously mentioned, Flacco only threw 18 TD passes all year. That would have been a major disappointed even without the high turnover ratio, which is further exacerbated by the large opportunities that the defense handed him. The truth is that the team truly improved offensively as the season went on. In the final nine games of the year, Baltimore averaged 26.4 points per game. But not much of that success was due to Flacco. In fact, one could argue that they achieved that feat in spite of his performance. And now, in the wake of the 2018 season, GM Ozzie Newsome had his last draft with the organization. As a parting gift, he drafted their potential quarterback of the future, in former Heisman Trophy winner Lamar Jackson. The rookie was incredibly prolific at Louisville. Last season, he threw for 3,660 yards, with a 59.1 completion percentage (8.5 YPA), and he added 27 TDs and 10 interceptions. He also added 232 rushes for an insane 1,601 yards and 18 TDs. Jackson is a lethal dual-threat quarterback, who has the talent to transform an offense with his strong arm and explosive athleticism. He displayed his rushing ability in 2016 as well (when he won the Heisman), to the tune of 1,571 yards and 21 rushing scores. Jackson is truly a big play waiting to happen. In each of his last two seasons in college, he had a 72 yard touchdown run. If Flacco doesn’t meet the team’s expectations, it is plausible that the rookie could see the field at some point this season. This team needs to get its swagger back. For his sake, Flacco didn’t have the most ideal group of targets last season. The Ravens actively pursued their options in free agency, initially offering former Cowboys receiver Dez Bryant a three-year deal. But when he refused, they ended up signing Michael Crabtree, which could be a blessing in disguise. Crabtree has been a force in recent years, particularly as a reliable red zone target. That move alone could improve Flacco’s touchdown total, and hopefully will enable him to bounce back in a big way this year. 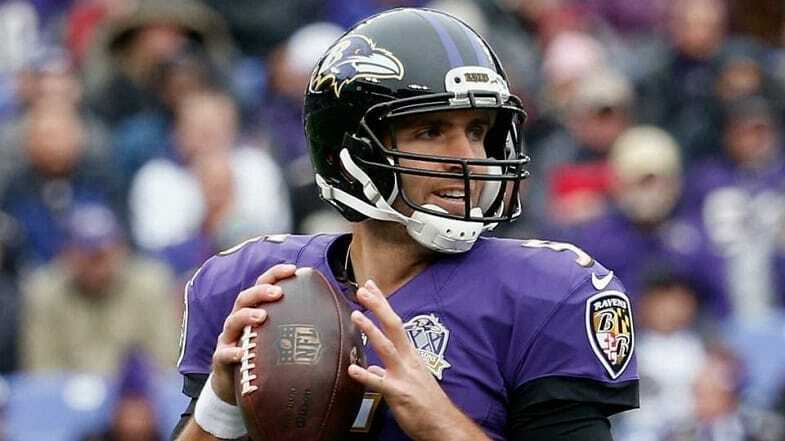 However, if Flacco is unable to be successful, I would expect the team to look Jackson’s way sooner rather than later.